In the Midwest and other regions in the U.S., we have dealt with subzero temperatures, snowfall by the inches, and slippery, unsafe conditions for the past several days. If you usually enjoy being outside in fresh air, you might be finding it difficult to adjust to your new snowbound status. Most individuals spend more time indoors during the winter, but this is even more pronounced in older adults, those with dementia, and their caregivers. Persons with dementia may experience increased confusion due to shorter days, less sunlight, and disruptions from a normal routine. He/she may also exhibit “wandering” behavior which includes walking or pacing about and trying to leave a safe environment. Although not all wandering is bad, unsafe wandering has the potential to turn into a very dangerous situation. Feeling crafty? Make a homemade pomander ball! Pomander balls, commonly seen at weddings and baby showers, actually have very interesting historic roots. Learn more about the history behind the pomander here. Buy rosettes at a craft store, create your own by shaping pieces of tissue paper, or punch/cut out flower shapes from scrapbooking paper. Use crochet pins to fasten each rosette into place on a large to medium sized styrofoam ball. 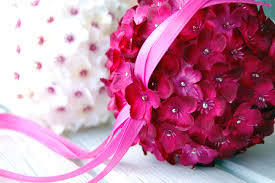 Use the pomander ball as a centerpiece or tie a ribbon around the ball to be used as a hanging decoration. Remember, it’s the process not the product. Our primary goal is that the person enjoy themselves; it is not important that we create a flawless finished product. If it’s becoming apparent that the person is becoming confused or frustrated, leave the remainder of the activity for another day. In fact, it may be easiest to plan the activity over the course of several sessions, versus trying to do everything in a single sitting. If your person is further progressed in the disease, they may get more pleasure out of watching you do the activity or admiring the finished product. Be flexible and have fun with it! Every year, nearly 1/3 of all older adults will suffer from some type of fall. Older adults with dementia, however, are more than twice as likely to fall than those without cognitive impairment. Their falls may also be more severe, perhaps resulting in serious bone fractures, hospitalization, or life-threatening injuries. Persons with dementia that suffer from a fall at home are more likely to be admitted into some type of institutional care. In addition, the cost of treating and rehabilitating seniors that have fallen has sky-rocketed in recent years (Montero-Odasso, 2012). Have a knowledge for the person’s likes, dislikes, routine, preferences, etc. Ensure that clothing and shoes fit properly and are in good condition. Avoid slippers with no supportive backing, pants that are too long for the person, etc. Clearly label key places in the home or residence, such as the bathroom or bedroom, even if the person has lived there for some time. Ensure that the environment is clutter-free. Remove throw rugs that could slip beneath the person. Create a visible pathway from the bedroom to the bathroom, particularly at night. Consider using a bedside commode. If falling in bed is a concern, consider using lowering the mattress directly onto the floor. Do not install bed rails as this could increase the person’s agitation and restlessness. 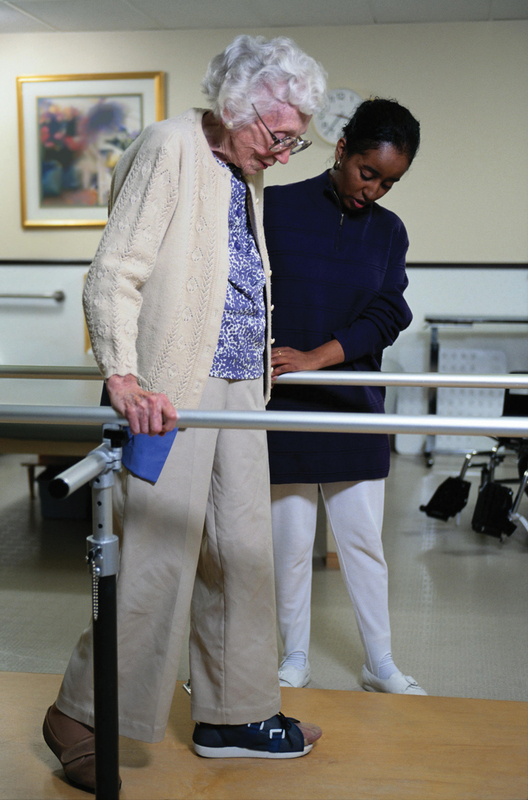 Many individuals with dementia may view bed rails as a sign that they are expected to be incontinent, or they perceive the rails as an obstacle to overcome, increasing the height of their fall. The person could become fatally injured if their head were to get caught between the rails. Make sure the bathroom is not conducive for falls. Remove clutter, use grab bars, and non-skid strip. A shower chair may be helpful. Use color contrast where appropriate – for instance, a person may not see a white toilet in front of a white wall. Consider using a brightly colored toilet seat to draw the person’s attention. Make sure there is ample lighting in well traversed areas. 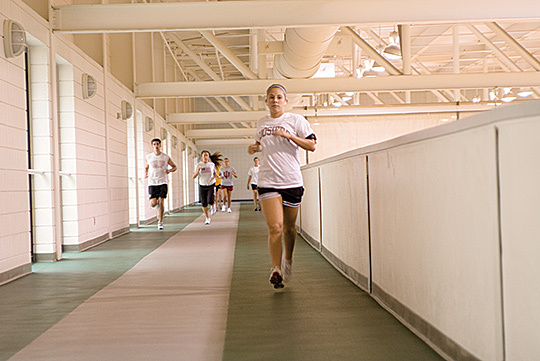 Provide places for the person to stop and rest, if walking on a long hallway or path. Ensure the person wears sensory aids, such as glasses or hearing aids, if needed. Montero-Odasso, M. M. (2012). Gait and Cognition: A Complementary Approach to Understanding Brain Function and the Risk of Falling. Journal Of The American Geriatrics Society, 60(11), 2127-2136.
van Doorn, C. (2003). 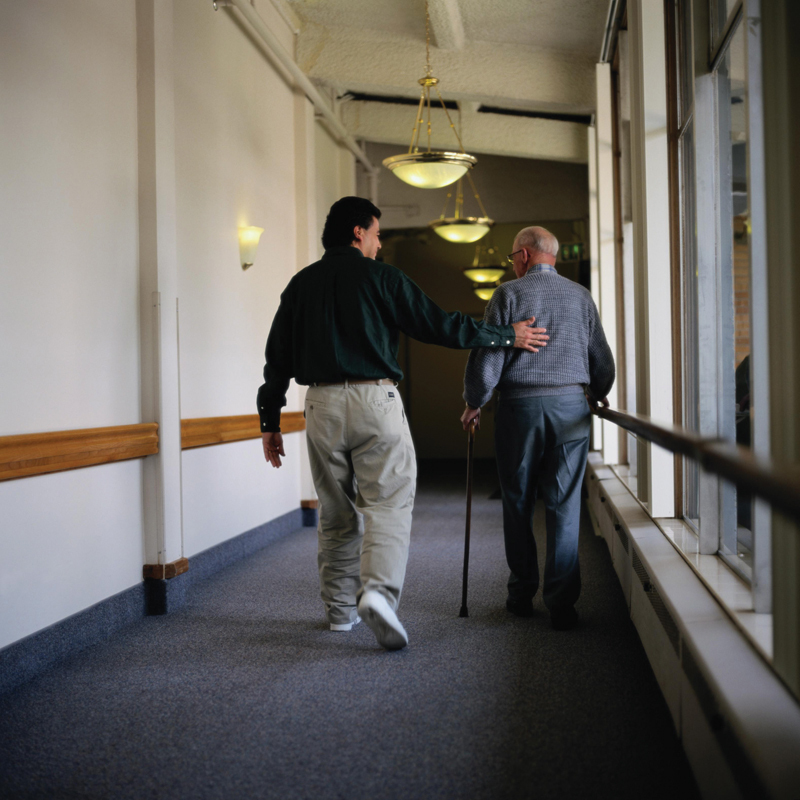 Dementia as a Risk Factor for Falls and Fall Injuries Among Nursing Home Residents. Journal Of The American Geriatrics Society, 51(9), 1213-1218. The holidays are a highly anticipated, but often stressful, season. For many, our financial, social, and physical demands increase significantly as the holidays rapidly approach. Buying gifts for others, entertaining guests, and making travel arrangements are common added responsibilities at this time of year. If you are a caregiver for a person with dementia, it may be difficult to juggle these additional tasks alongside your regular caregiving routine. Little research has been done about caregiving during the holiday season, although it has been acknowledged by many as a uniquely stressful phenomenon. Below are some helpful hints on how to best prepare for and survive this special time of year. Happy Holidays everyone! The holidays can be a turbulent time for some, so it can help to let guests know what to expect before they arrive. Initiating the conversation early will also allow family members an opportunity to surface any questions or concerns they may have. If the person is in the early stages of Alzheimer’s, relatives and friends might not notice any changes. But the person with dementia may have trouble following conversations or may be likely to repeat him/herself. Family can help with communication by being patient, not interrupting or correcting, and giving the person time to finish his or her thoughts. You may find this easier to share changes in a letter or email that can be sent to multiple recipients. Consider also including a recent photograph of the person with dementia, so family/friends are aware of any physical changes that may have taken place. Sticking to the person’s normal routine will help keep the holidays from becoming disruptive or confusing. For instance, if the person is accustomed to eating lunch at a scheduled time, stick to that time. Encourage family members and friends to assist you in this. Plan time for breaks and rest. Be flexible and adjust traditions appropriately. For example, a smaller, shorter gathering during the day may be more successful than a large celebration that carries on into the late evening. Individuals with dementia benefit from engaging in activities for many reasons. Meaningful activities address the social and psychological needs of the individual by tapping into their sense of personhood and allowing them to feel included and needed. Activities also help to keep behavioral concerns at bay, improve quality of life, and may even make caregiving tasks go easier. It is important that the activity be a good fit for the person based on their progression of the disease, remaining strengths, and personal interests. Courtesy of verywell.com, here are 9 additional reasons why meaningful activities are so important! Mental Stimulation: Activities that challenge and engage your brain are beneficial in maintaining cognitive functions and may even slow down the progression of the disease. Physical Activity: Activities that involve physical activity improve and maintain overall function of the body’s mobility, can increase strength, and have positive effects on the brain. Social Interaction: When individuals engage in socialization they are more likely to have better overall mental and social health. Improvement in Sleep Habits: Engagement in activities throughout the day keeps your loved one engaged and less likely to fall asleep during the day. Reduced napping during the day will lead to better sleep habits at night time. Improvement in Self-Esteem: Individuals with memory loss may struggle to cope with their declining abilities. When they are engaged in activities in which they can be successful, it is a boost to their self-esteem. A Change in Behavior Challenges: When individuals with dementia are engaged in activities of interest, behavioral challenges tend to diminish. Decrease Depression and Anxiety: Engaging individuals with dementia in meaningful, engaging activities has been shown to decrease the symptoms of anxiety and depression. Caregivers Benefit: Meaningful activities bring happiness and joy to your loved one with dementia, which by itself is a benefit to caregivers. Caregivers have the opportunity to have more positive interactions with their loved ones. Overall Health: Overall, meaningful activities can keep your love one with dementia engaged and their minds stimulated. Have you ever heard that using aluminum pots or drinking from aluminum cans can increase your risk for developing Alzheimer’s disease? Despite the prevalence of this myth, very few experts believe that everyday sources of aluminum pose any threat. In fact, several studies have failed to confirm any role of aluminum in Alzheimer’s disease. Most researchers and mainstream health care professionals believe, based on current knowledge, that consumption of aluminum is not a significant risk factor for Alzheimer’s disease. 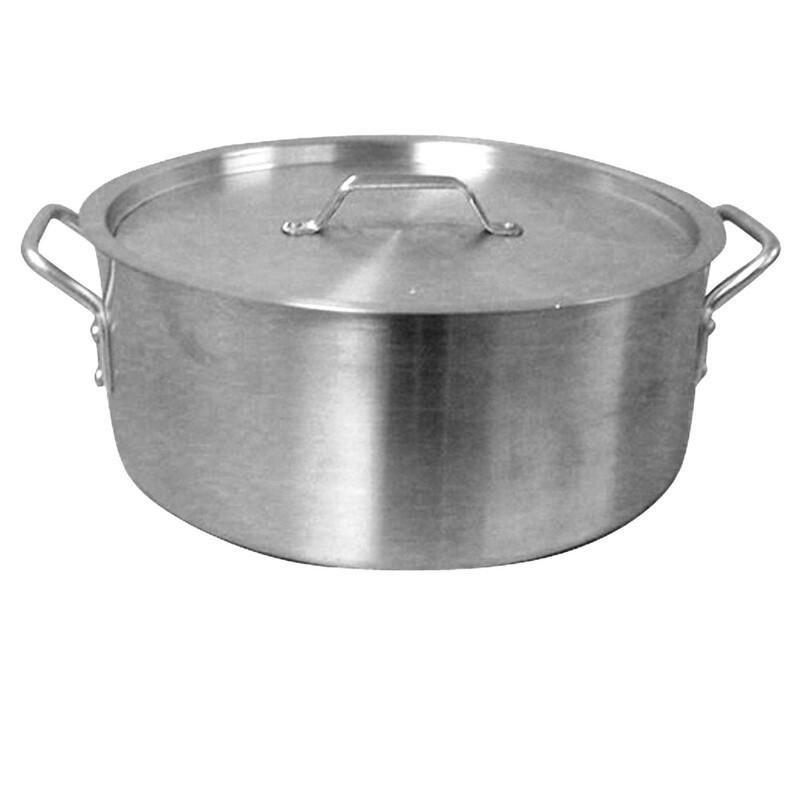 It is unlikely that people can significantly reduce their consumption of aluminum by avoiding aluminum containing cookware, foil, beverage cans, medications, or other products. The exact role (if any) of aluminum in Alzheimer’s disease is still being research and debated. If aluminum exposure had a major impact on risk, scientists would have already gained a clearer picture of its involvement over the decades that they have been studying the issue. Research studies since the 1960s have failed to document a clear role for aluminum in causing Alzheimer’s disease. Although the results of some studies have suggested that consumption of aluminum may be linked to Alzheimer’s, just as many studies have found no link between aluminum consumption and Alzheimer’s. To learn more about myth and Alzheimer’s disease, click here. 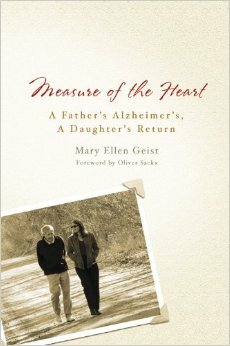 This activity idea comes from Measure of the Heart, a novel by Mary Ellen Geist, recounting her personal experience of returning home to Michigan to help care for her father who is diagnosed with dementia. Her father, Woody Geist, also appears in the HBO documentary “The Alzheimer’s Project”. The Geist’s resilience and candor in the face of this devastating disease is truly inspirational. Preheat oven to 350 degrees F. Rinse a 4-pound roasting chicken, removing and discarding the giblets from the cavity. Place the green apple, celery, onion, and herbs on a large chopping board. Hand a not-so-sharp knife to the Alzheimer’s patient, depending of course on how far the disease has progressed. It may not be wise to do this for Alzheimer’s patients who’ve been living with the disease for more than ten years, but my father can still safely use a knife if I stand next to him and make sure he isn’t holding it upside down. Let the patient chop up the fruit, vegetables, and herbs however the hell he or she wants to, without hovering and explaining how to do it! Don’t say: “No! Do it like this!” Remember: It doesn’t matter what the chunks look like or how big or small they are. The process can be liberating not only for the patient but also for you. Open the cavity of the chicken and have the Alzheimer’s patient help you stuff the bird with a big wooden spoon. Put the chicken in a 9×13 inch baking dish or pan. Pour the red wine, olive oil, and a little water over the stuffed bird. Cook it in the oven at 350 degrees F for at least two hours, until the temperature of the thigh reaches 180 degrees F. Have the Alzheimer’s patient help you baste the bird often. Let it sit a bit after you’ve taken it out of the oven; then slice and serve. Play the Dice Game "Golf"
Play Shake Loose a Memory!